A smaller number of young people aged between 12 and 17 are now smoking, according to data released by Morgan Stanley. 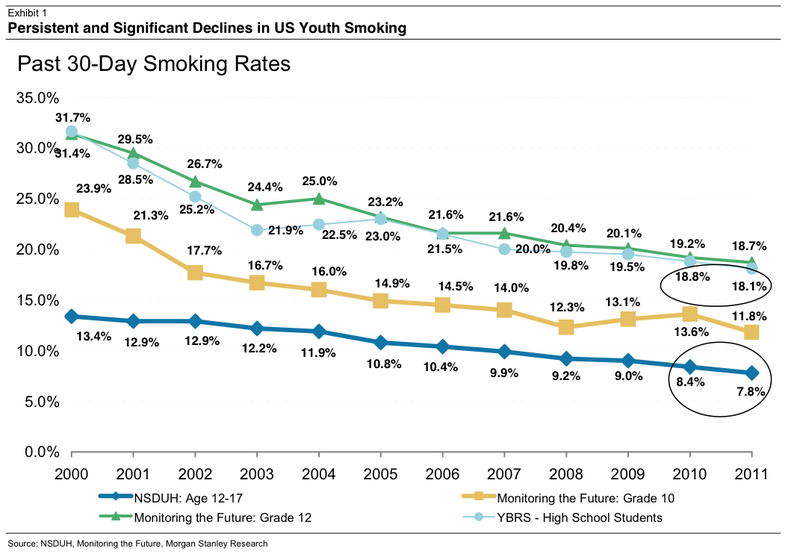 (vi) The multi-year substantial and continuing decline in youth smoking prevalence. Total youth consumption is modest, but like a python eating a pig, the impact of these demographic dynamics will be visible over an extended period of time as today’s young adult cohort ages. Nine-month year-to-date US cigarette consumption is down ~3 per cent , despite only very modest net pricing.